We met Brett in Jupiter–literally. Well, Jupiter, Florida that is. As if it wasn’t amazing enough to be at a late night beach party along the Atlantic Ocean celebrating friends who had gotten married earlier that day, we also had the pleasure of stumbling upon Brett and his amazing ginger beard. Brett has been living in Jupiter for seven years and items he keeps on his bucket list include keeping his awesome beard growing and finding a good woman who appreciates his beard, which we can’t imagine will be too tough a task. Move to Denver Brett, and it may be even easier! Until then, keep up the good beard-growing work. Here are some guest beards for your Tuesday! Meet John, Kyle and Chris (left to right) from Missouri. John and his beard come from Joplin where he’s the president of Trumascape. He loves that his beard is a loyal companion and is always there for him. “I usually pet my beard when I’m in deep thought; it’s there to support me”. He also takes the verbal abuse from his loved ones in stride, like when his mom and sister say “we hope you’re not doing this because you think it looks good”. Be patient with them, John. Not all understand the magic of the beard. Next we have Kyle, who started growing his beard after Movember to show up some of his friends in good ‘ol bearded competition. Ladies of Missouri, you can find this beard studying hard in PT school at Rockhurst University. Last is the life saving beard. Chris is an ICU RN in Joplin. You know you’re in good hands with facial hair like this. What lucky patients you have! 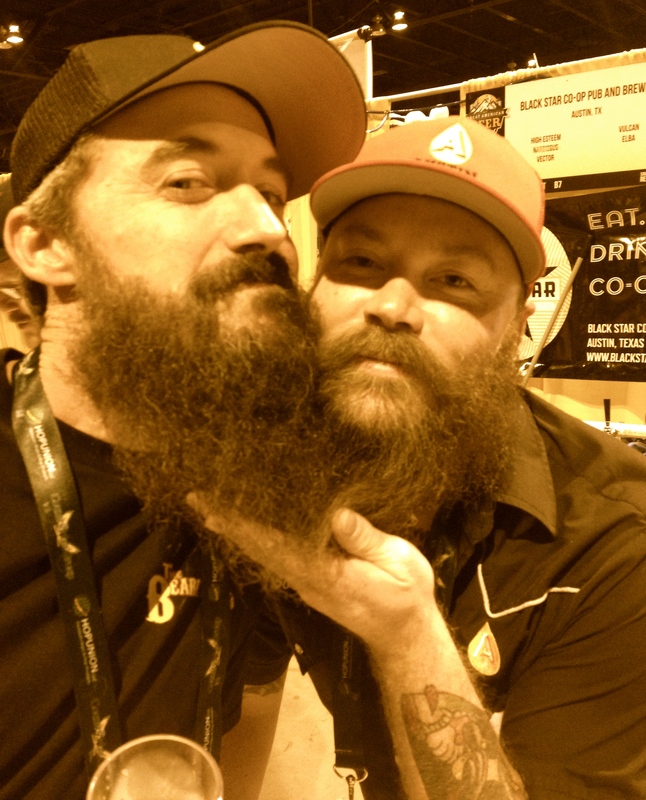 Nice meeting you beards–now, do our community a favor and move to Denver!